The most recent fishing report for Missouri/Kansas is up at The Kansas City Star! Water temperatures are approaching 50 degrees in most lakes and fish are in prespawn mode. I have personally been spending a lot of time on the Longview Dam fishing for walleyes, but they don’t appear to have moved in completely. They are still staging in about 20-22 feet of water and not quite up to the bank yet. Shouldn’t be long! The Lee’s Summit Area Fishing Facebook Group is gaining members fast and everyone is doing a great job of sharing the knowledge they have about local lakes. 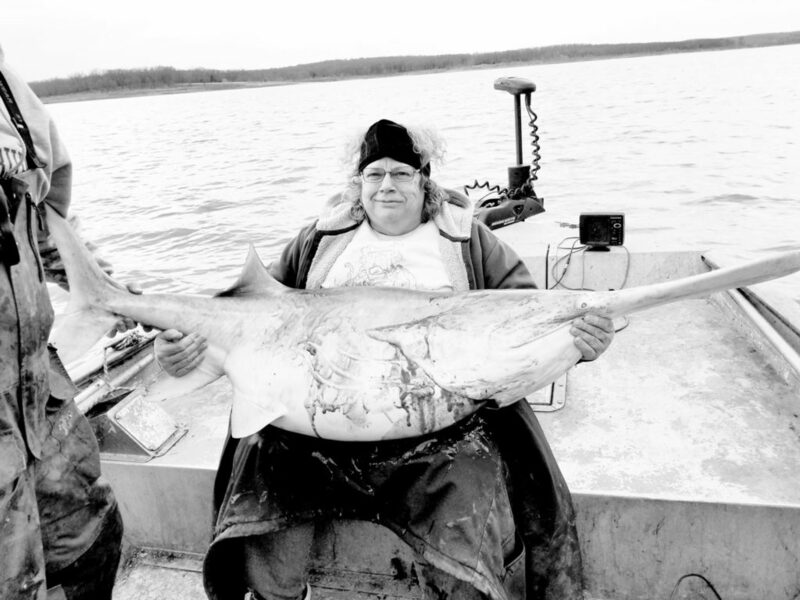 Mary Corpening caught her first ever spoonbill, weighing in at 90 pounds. She’s been wanting to go for 30 years and this was the first one she hauled in!